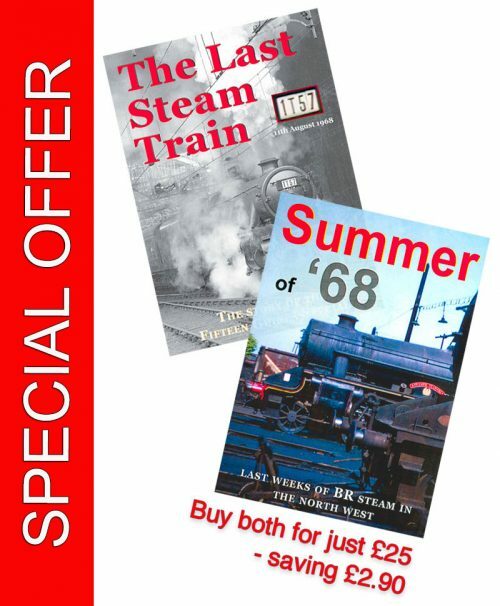 Special offer celebrating the 50th anniversary of the end of British Rail main line steam – The Last Steam Train & The Summer of ‘68. Buy both DVDs for just £25 saving £2.90 on the separate purchase prices. The full story of the last steam train operated by British Rail in August 1968. 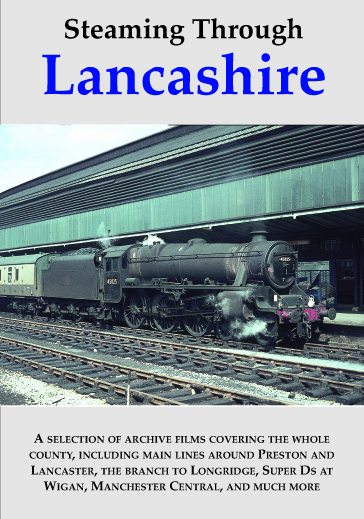 Never before seen film of the 15 Guinea Special as it prepares to leave Liverpool Lime street on its epic 315-mile journey to Carlisle and return. Superb shots of Nos. 45110, 70013 Oliver Cromwell, 44781 and 44871 as they take this historic train through the north west. We see film as it departs from Liverpool Lime Street with the crew and press present on this historic occasion. Scenes at Rainhill and Parkside where the train was stopped to commemorate the two locations which had 1830 connections to the beginning of railways between Liverpool and Manchester. On arrival at Manchester Victoria a loco change took place which saw BR’s last Pacific, No. 70013 Oliver Cromwell take over the service for the passage to Carlisle. Footage on and off the train as passengers are served lunch as the train nears Blackburn for its first water stop. As the train nears Hellifield, we see film of it as it stops and prepares to embark on the scenic Settle-Carlisle route. Cameras on and off the train film as the train crosses over Ribblehead viaduct and heads towards the summit of the line at Ais Gill where a stop saw crowds of well-wishers scramble to take pictures. On arrival at Carlisle the two Black Fives, 44871 and 44781 are coupled up to return the train back to Manchester. The two-week build-up to the end is covered with scenes of the final week of steam and specials, six of which operated on one day – the 4th August 1968. We see film of the final locomotives on BR’s register as they perform their last duties. Several would find their way to preservation. We have sequences at Carnforth, Rose Grove, Patricroft, Bolton and Newton Heath. 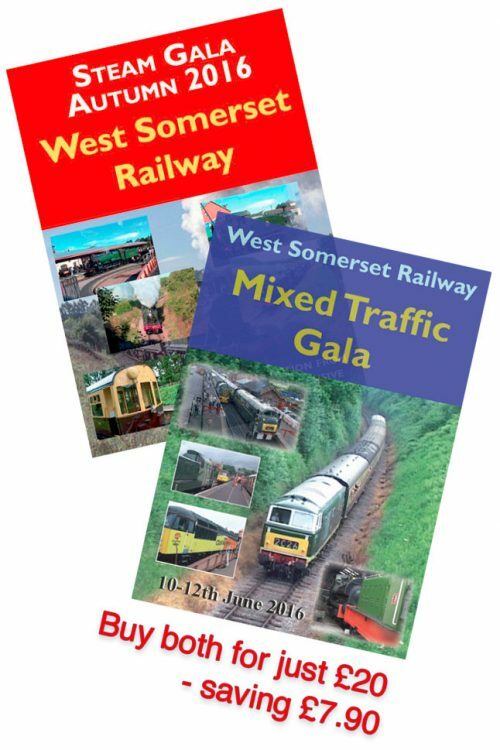 ‘The Summer of 68’ – Last Weeks of British Rail Steam. Exclusive interview with David Shepherd (OBE). Memories from enginemen and passengers. Original sound recordings of 11th August 1968. Unseen archive film from 1968. The departure of steam from the British Railways network in August 1968 was a landmark not only in railway history, but British history. For nearly 150 years steam reigned supreme and although gone, it has never been forgotten. 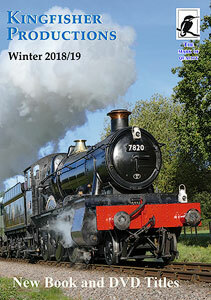 In this unique account of the last poignant weeks of steam, this programme has brought together exclusive interviews with the crews of the last steam workings and passengers of the very last train; archive material; and hitherto unseen footage made available by enthusiasts. This is the first opportunity to share in the delights of the original sound recording of the last journey, recorded by Robert Ormiston-Chant on the 11th August 1968; and artist David Shepherd OBE, recalls the emotional last weeks of steam and describes how he purchased his own two locomotives from British Rail.